By selecting a few simple pieces that capture the essence of Autumn, it only took a few minutes to pull this all together. And I was so thrilled this year to be using some pieces from the fabulous Harvest Collection at Kirkland’s. 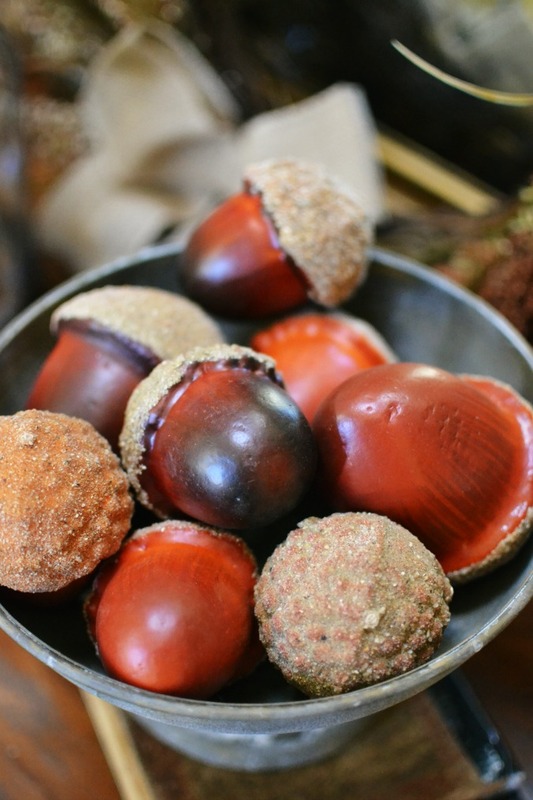 Oversized acorns with glittery caps are a fun update on a classic fall item. 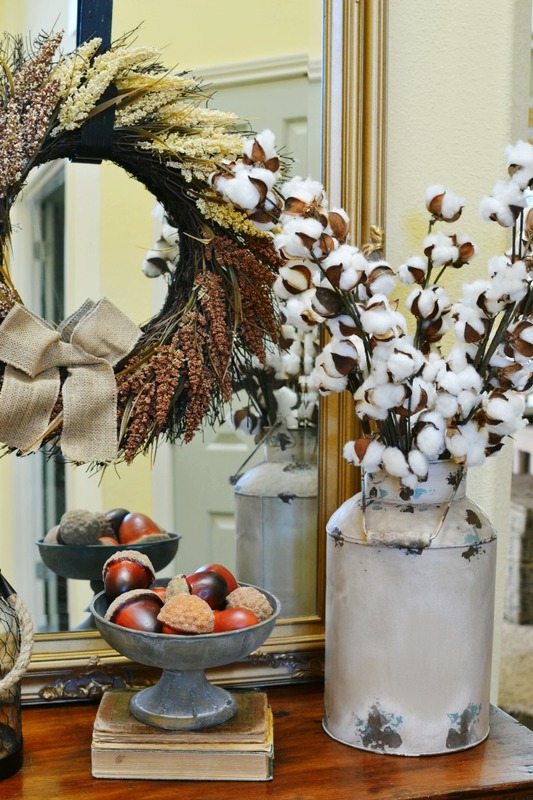 A simple faux wheat wreath hanging on the mirror adds texture. 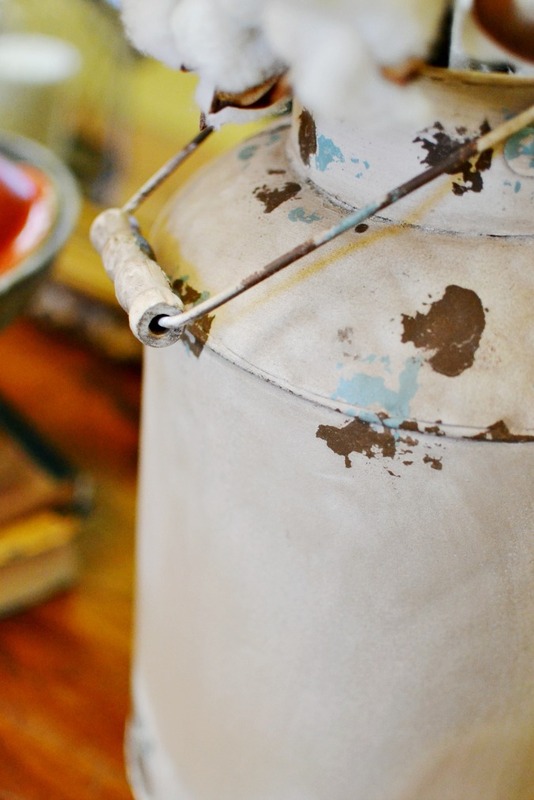 A vintage-y looking milk can (similar to red version) holds cotton branches and has just the right amount of distressing. 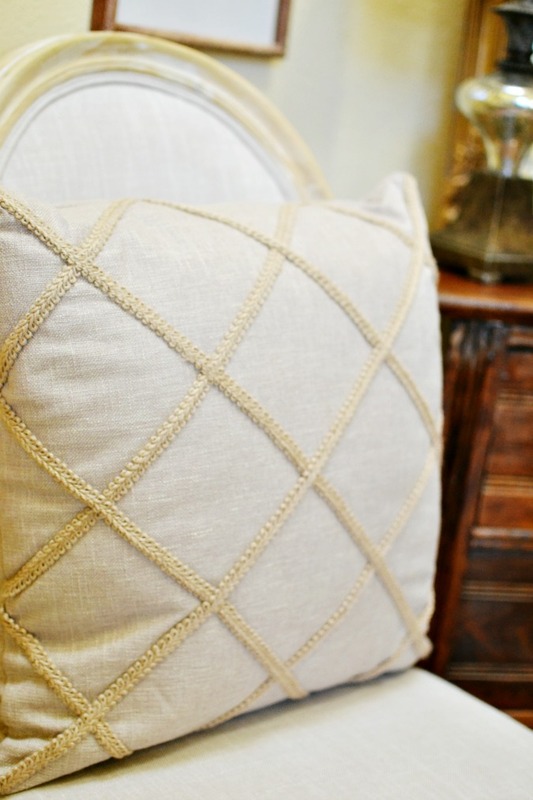 And a throw pillow with jute lattice (similar to) adds a soft touch. It’s at this time of the year, really more than any other, when I believe that our hearts turn more towards home and creating a place where the heart can find rest. Now, who’s ready to enter to win a $100 Gift Card courtesy of the generous folks at Kirkland’s? 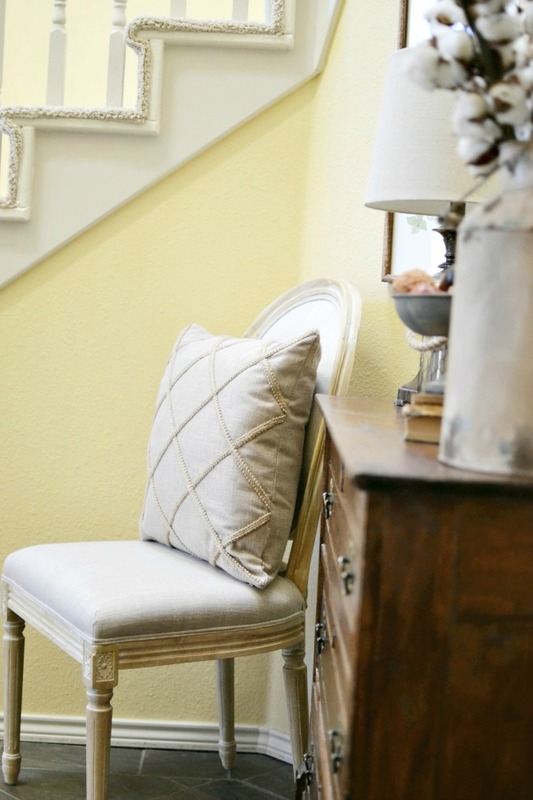 Before you go, be sure to take a look at the ways my blogging friends have incorporated pieces from the Kirkland’s Harvest line into their own homes. 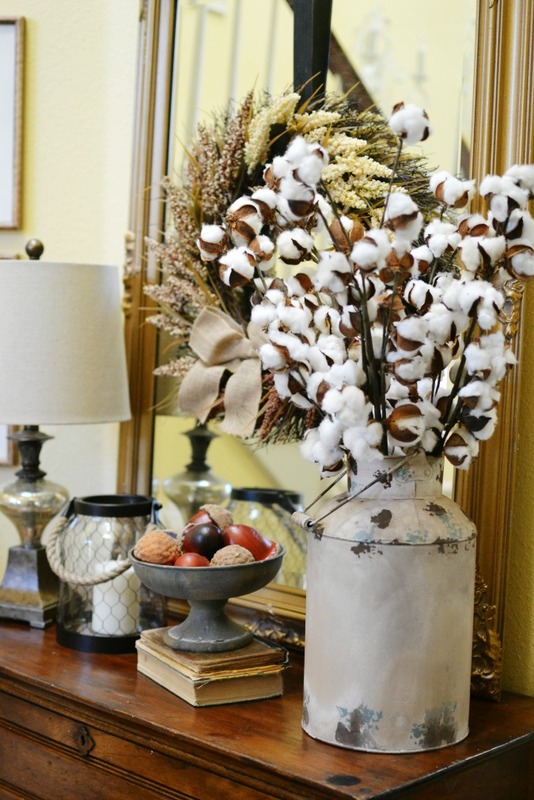 10 Comments on "Fall Entry Decor and Kirkland’s Giveaway"
I love Kirklands!!! Planning a sister’s and niece’s trip to Lancaster, PA in a few weeks. Can’t wait to visit the Kirkland’s store there! Congratulations on your book! Those acorns are fantastic. Your Fall decorations are very pretty and looks so welcoming. Love all the items you have on the table. 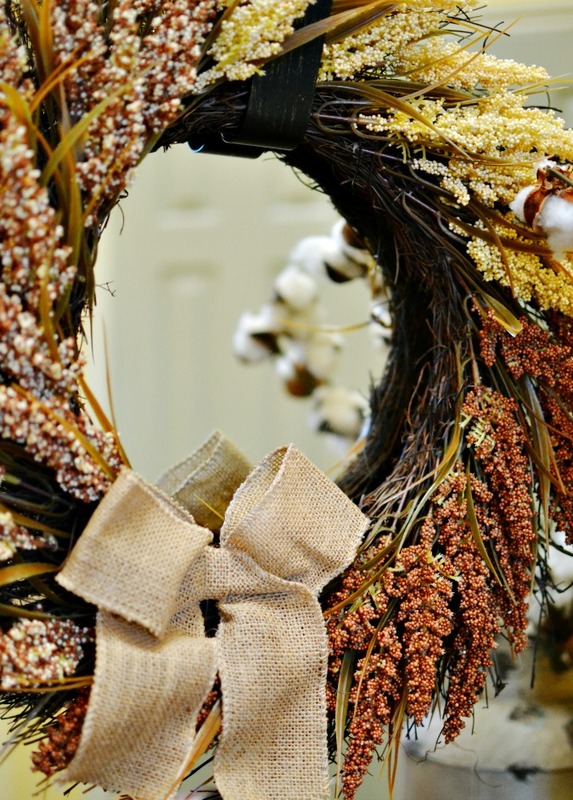 I saw the wheat wreath in Kirklands this week and thought it was beautiful. So classic!